We thought we knew all about Oregon before my husband and I visited for the first time. Oregon is Pacific rainforest, we believed. It’s lush and green and it rains a lot. And there is some sort of coastline. With rocky beaches. And then we made a trip to Oregon and learned that it is absolutely nothing like what we thought. Oregon does indeed have lush, green rainforests and an astonishingly beautiful coastline, but it also has mountains and a high desert that is gold and brown and nothing like the rest of the state. Oregon first surprised us, then astonished, us, then forced us to fall in love with its unique and overwhelming beauty. Our first experience with surprising Oregon was when we doubted our GPS, which told us we would be at the coast in five minutes. But we were in the middle of the mountains, so of course that was impossible. Only in Oregon, it is definitely possible — because the mountains careen right down into the water, and one minute you are driving along in the forest and mountains and the next you arrive at the coast. Accustomed to the flat beaches of the Gulf and Atlantic coasts, we were unprepared for beaches where huge hunks of rock were just piled everywhere. Soaring pillars of rock which, when you looked at the nearby mountains, were quite obviously the debris left behind when the mountains shed as they retreated back, washed away by millennia of waves and wind. This phenomenon provides a stunningly beautiful coastline unlike any we have ever seen. 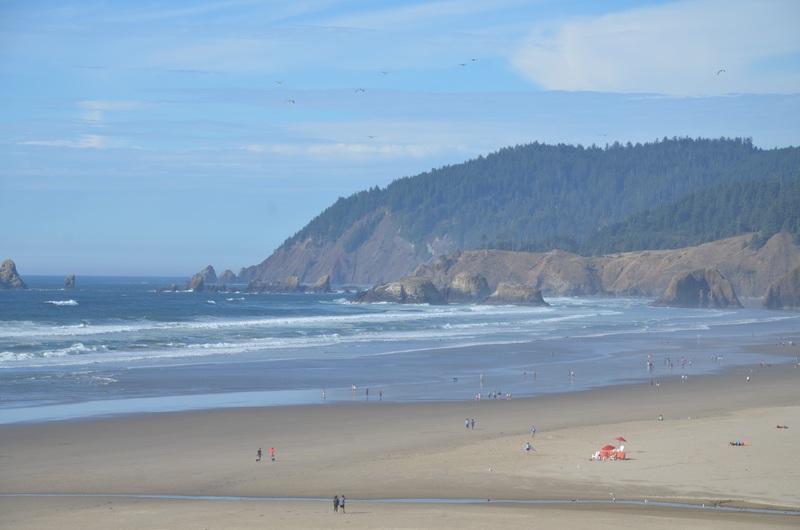 We had casually made arrangements to stay at the Hallmark Resort in tiny and charming Cannon Beach without any idea that it was probably one of the best places to have our first introduction to the coast. 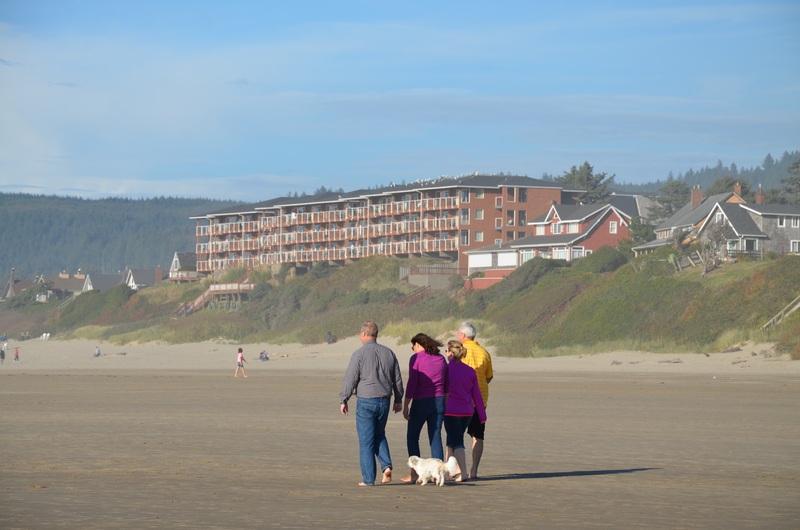 Hallmark Resort is located right in front of Haystack Rock, an iconic tourist destination in Cannon Beach. Our first view of Haystack Rock was from the balcony of our lovely two-bedroom, oceanfront suite, where we could have cheerfully lived for a long time, as this amazing boulder is located right in front of the resort. I don’t think we could have arranged a better view in Cannon Beach if we had extensively researched the area. Complete with a nice living room with a fireplace, a full kitchen, two bedrooms and a bathroom, this was probably the most comfortable place we stayed during our entire time in Oregon. Hallmark Resort has 129 rooms, suites and rental homes on the property, so there is a good selection of accommodations. There is also a spa, two indoor salt water pools, a dry sauna, exercise room and laundry services. We checked in at the front desk where the cheerful folks manning the desk told us everything we needed to know about the place, including the fact that they made fresh chocolate chip cookies every day at 4:00 p.m. Because of this, we planned to be in the lobby every day at approximately 4:01 and were very happy to do so. We had a vague idea that Haystack Rock was some sort of boulder on the beach and this is accurate as far as it goes but, in reality, Haystack Rock is truly astonishing. It’s actually a towering monolith which is home to all kinds of nesting birds and marine invertebrates like starfish all year long. It truly looks like a pretty impressive but lifeless boulder until you get close. 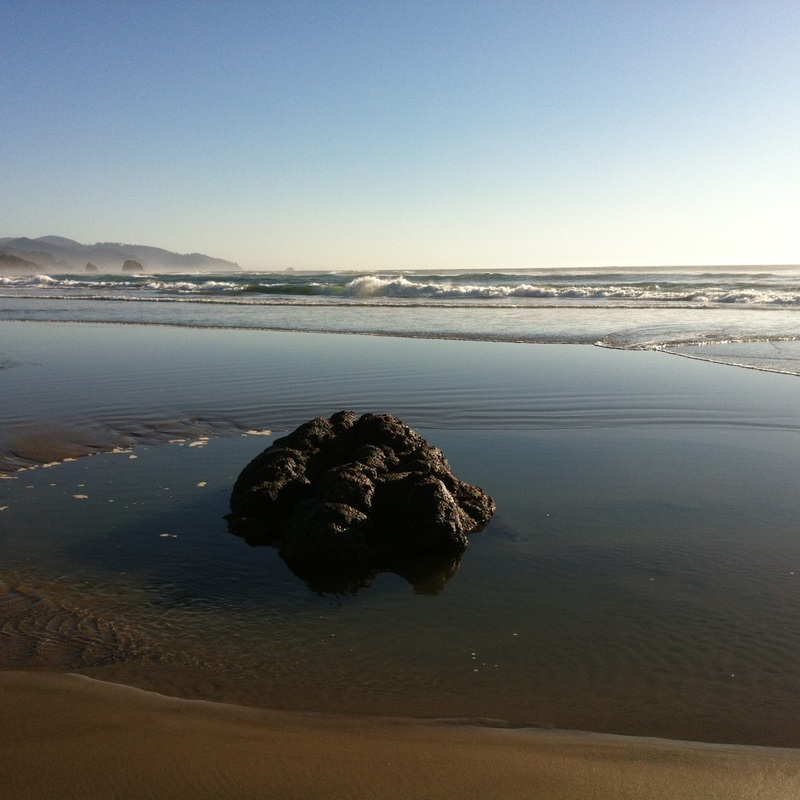 Wait until low tide, walk out to the soaring chunk blocking out the setting sun and you will see dozens of tide pools clustered around the rock and its nearby siblings, the Needles. 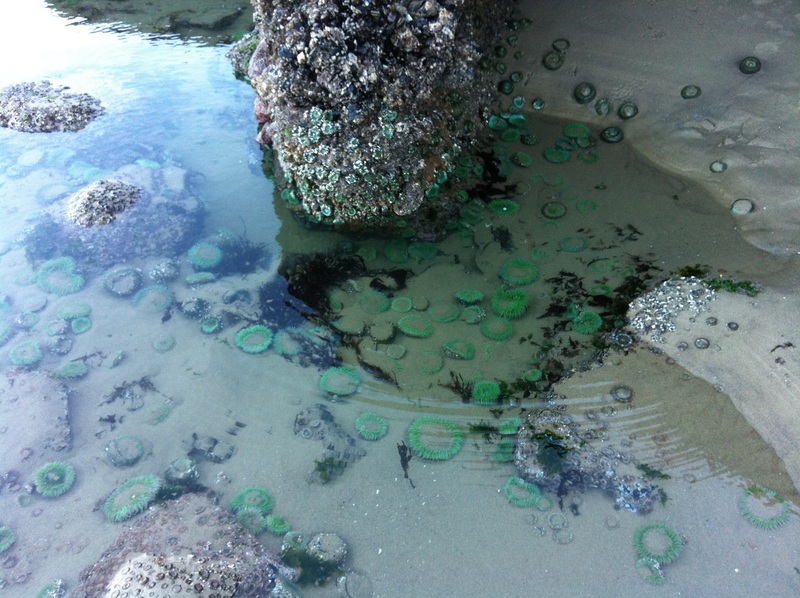 The tide pools are absolutely crystal clear miniature aquariums, teeming with life. Spectacular orange and purple starfish bigger than your hand cluster on the rock faces and neon green anemone cling to the sand and rocks underwater, floating in the current your bare feet create. Kids root in the sand, unleashed dogs romp everywhere and people smile and nod, seemingly as dazed as you are by the indescribable beauty of this place. Dogs are welcome at the Hallmark Resort and there were plenty of them chasing balls and Frisbees and generally having a great time. Families were everywhere and kids were having a ball digging in the sand and wading in the chilly water. When you are enjoying Cannon Beach, be sure to add dinner one night at the tiny and charming restaurant called Newmans at 988. Located right on the main street in Cannon Beach just a couple of blocks from the ocean in a former residence, the restaurant only has 10 tables and accommodates 24 – 30 people. We were very lucky to be part of that elite group. Opened in February 2006 by Chef John and Sandy Newman who combined Chef John’s French training and experience with the original restaurant in the location which had offered Italian cuisine, the small restaurant offers truly excellent food. The French/Italian cuisine features the best local products Oregon and the Pacific Northwest have to offer. Since Cannon Beach is similar to coastal European villages we have visited, the white tablecloths, fresh flowers and intimate atmosphere were both familiar and comfortable for us. Visiting this restaurant felt like we were just stopping in for dinner with some friends in their home – a very pleasant experience. It was a week night and not too busy in Cannon Beach, so we just had a short wait and then were seated. I imagine the restaurant is very busy during their high season in the summer and reservations might be a good idea. Our friendly waitress spent a little time telling us about the restaurant, the history and the amazing offerings on the menu. Then she brought us a couple of glasses of champagne. What a nice way to start an evening! Everything on the menu looked equally wonderful, but I was in the mood for steak so steak with potatoes and blue cheese on top sounded good. It was perfectly cooked and perfectly delicious. We just sat and enjoyed the quiet, intimate atmosphere, the low hum of conversation from the other diners and the amazing, melt-in-your-mouth steaks we had both ordered. It was the perfect dining experience. 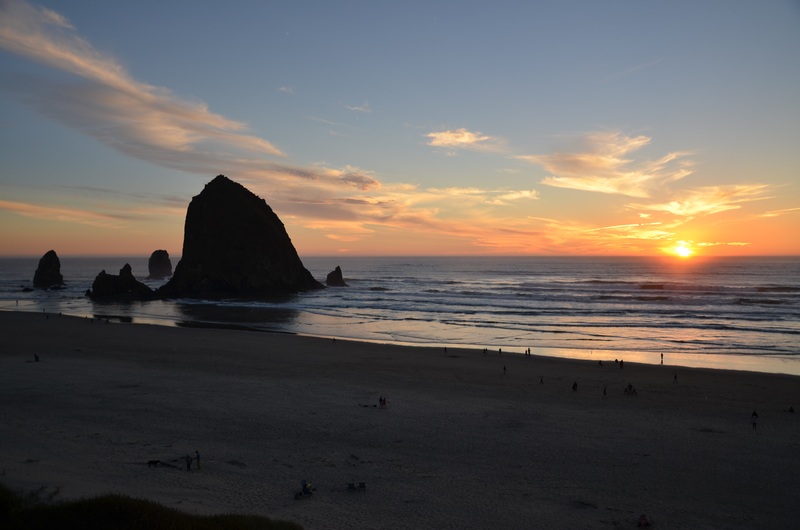 Plan to spend at least a day exploring the area around Cannon Beach, as it provides some of the most amazing views you will ever see and photo opportunities abound. 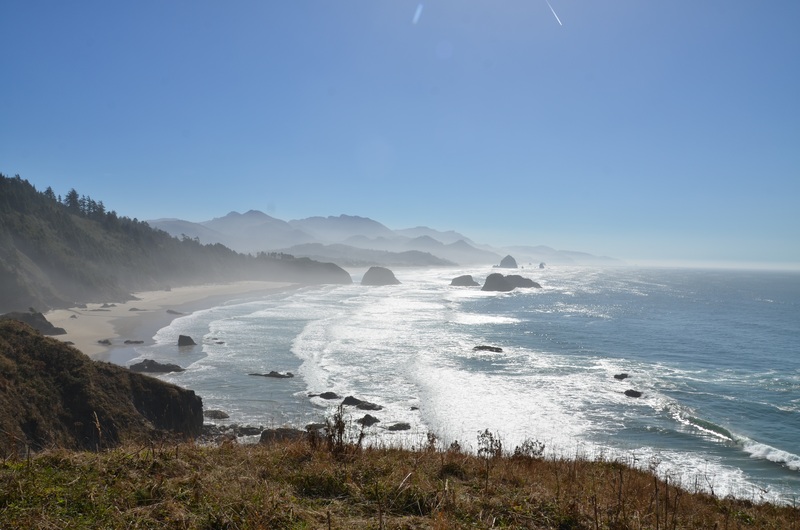 Ecola State Park is located in Cannon Beach and is well worth a visit. 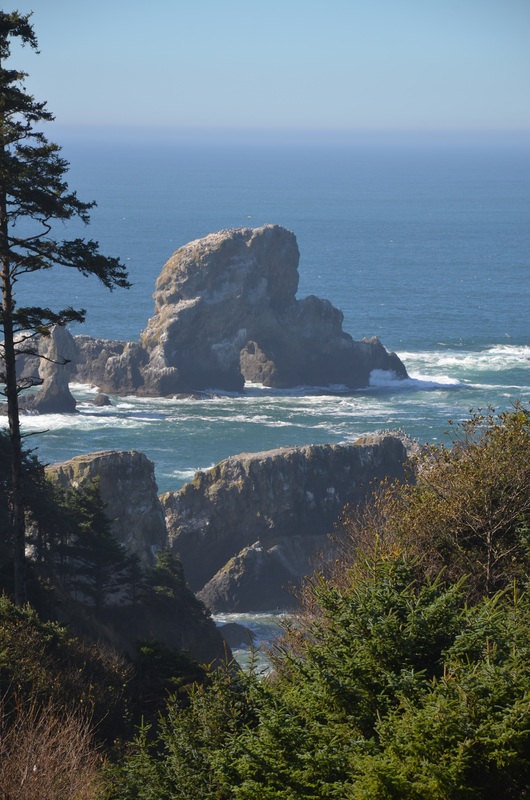 It wraps around Tillamook Head between Cannon Beach and Seaside for nine miles and offers gorgeous views along with hiking, picnicking, tidepools, surfing and wildlife. The entrance road from Cannon Beach winds through a lush forest which opens up to a bluff with breathtaking views of the Pacific Ocean and coastal mountains. There is a charge of $5.00 to enter the park but it is well worth it. Bring a picnic lunch to Indian Beach and watch the surfers brave the cold, wild water and keep an eye open for deer, elk or eagles. In the winter or spring, you can spot migrating gray whales. Fort Stevens State Park is only about a half hour drive from Cannon Beach and the perfect spot to see a shipwreck. 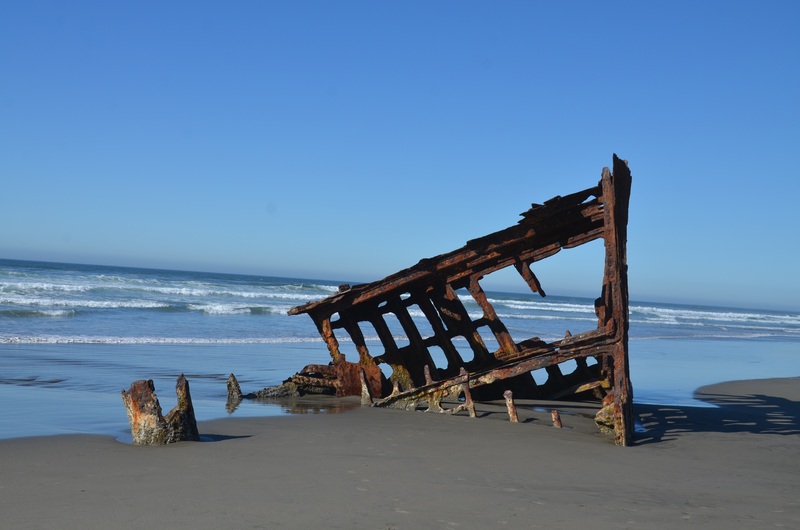 The Peter Iredale was grounded on the beach here in 1906 and the remains of the ship are still a popular tourist destination. Fort Stevens is a 4,200-acre park which offers history, nature, and plenty of recreational opportunities. Camping, beach-combing, swimming in freshwater lakes and a historic military fort make Fort Stevens a great place to visit. On your way back to Cannon Beach, stop in Seaside for groceries if you need them, as Cannon Beach does not have any large grocery stores. Heat up something quick for dinner in your nice kitchen at the Hallmark Resort, lounge on your balcony and enjoy the incredible sunset over Haystack Rock. 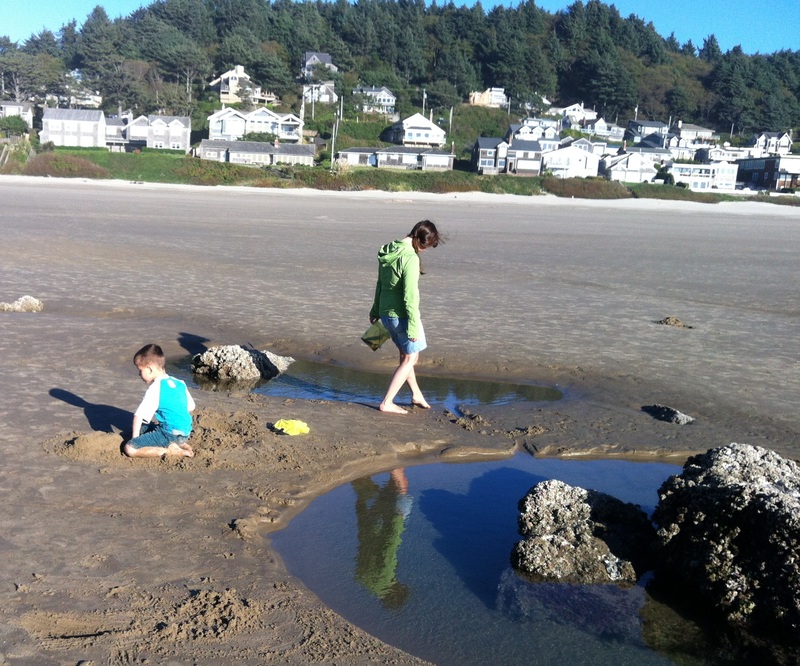 Then congratulate yourself on finding possibly the most idyllic place on the Oregon coast!